Sax Class Generator is a class used to create a java class that extends org.xml.sax.helpers.DefaultHandler. It creates everything based on the tree structure of the xml that you provide. Current version depends on the GUI interface to get the nodes(structure) of the xml. Here it comes the first real widget in this library which by the way I am still unsure about its name or its components' names. Anyway what is the idea behind this!? It is still very basic but documented.. 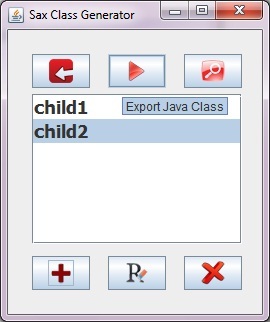 There is a sample project with the source and an example Activity. Try them as I said it is still basic but I will add more and more features because lately I am getting a bit bored. each function is well documented so you can simply use them. The sample activity will help as well. Basically, for now, the animations encompasses: TranslateAnimation and AlphaAnimation. So see you later with more animations..
By the way, if you have any special requests especially for widgets, feel free to like the facebook page and post your request there.. 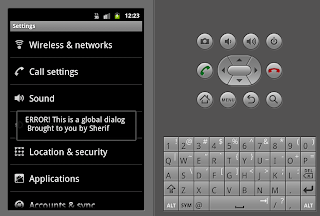 I was trying to find a way to create dialogs for the Android user! Just to surprise him! It would be really fun to do so I guess. 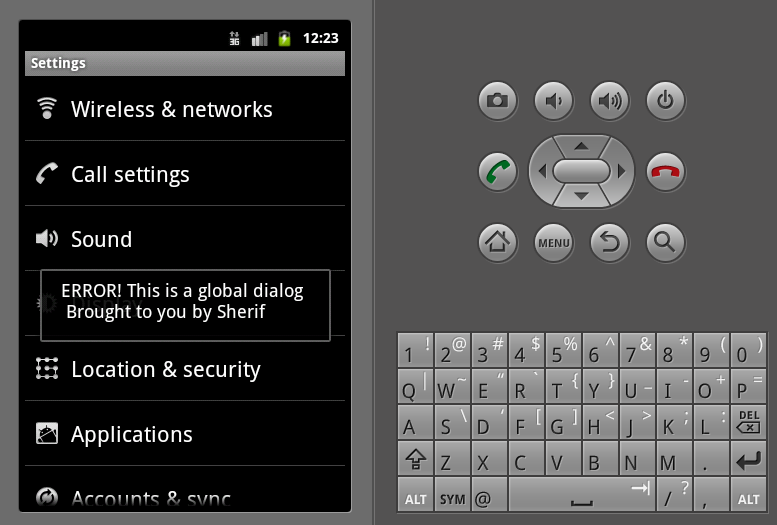 To keep things simple, I do not want to build a new Android OS! I just want to do this with what I have available. How will this be done!